Wait is it too late to redo the Marvel Cinematic Universe? Cause I am alright with that if we reboot it with this variants cover for the upcoming S.H.I.E.L.D comic. Give me a series of movies about these characters! Even a show just dedicated to them with different characters showing up all the time. Melinda May fighting alongside Ms Marvel and Gwen Stacy with spider powers? Where do I sell my organs for that! 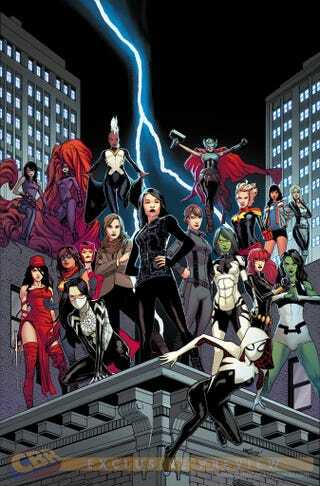 This would kind of be my dream Marvel Universe. Sadly licensing issues are the least of my dream's problems.